SANTA FE, N.M. (AP) — Former presidential candidate Gary Johnson is setting his sights on a U.S. Senate seat from New Mexico as a Libertarian candidate, arguing that he can act as an influential swing vote and a voice of reason in bitterly divided Washington. The former governor wants to downsize federal spending to offset President Donald Trump’s tax cuts and push let-live policies on cannabis and education. Democrats warn that he would work to torpedo social spending. Johnson made a late entry as a Libertarian into the Senate race against first-term Democratic Sen. Martin Heinrich and Republican political newcomer Mick Rich. Johnson says politicians in Washington have their “heads in the sand” over the dangers of ballooning federal debt that could lead to Venezuela-style inflation. He also believes that Trump has betrayed conservative free-market principals by waging trade wars while subsidizing farmers, though he applauds Trump’s efforts to rein in federal regulation. EDITOR’S NOTE: Associated Press reporters are on the ground around the country, covering political issues, people and races from places they live. The Ground Game series highlights that reporting, looking at politics from the ground up. Each week, in stories and a new podcast , AP reporters examine the political trends that will drive the national conversation tomorrow. Johnson still has a political following in New Mexico from his two terms as governor starting more than 20 years ago, when was elected as a Republican. And he says he has a natural constituency in the growing portion of voters who register without allegiance to major parties. Pollsters say that may not be enough, and that independents tend to sit out nonpresidential election cycles. The state Republican Party is accusing Johnson of ensuring a Democratic victory by dividing fiscal conservatives. Still an avid outdoor athlete at age 65, Johnson says he’d happily set aside his 100-day ski seasons and bicycle endurance races to serve in the Senate. Johnson’s quirky policies and unpredictable allure among voters is forcing Democrats to defend what had seemed like a secure seat. And Republicans are calling him a spoiler outright, saying he will draw votes from their candidate. With the Republicans holding a super slim majority, every seat is crucial to both sides. To cement support among progressives, Heinrich has cast himself as a defender of federal Medicare and Social Security benefits and a proponent of the new outdoor-recreation and renewable-energy economies — a tenuous hedge in an oil-based state economy. His newfound support for legalizing marijuana defuses one of Johnson’s signature issues. 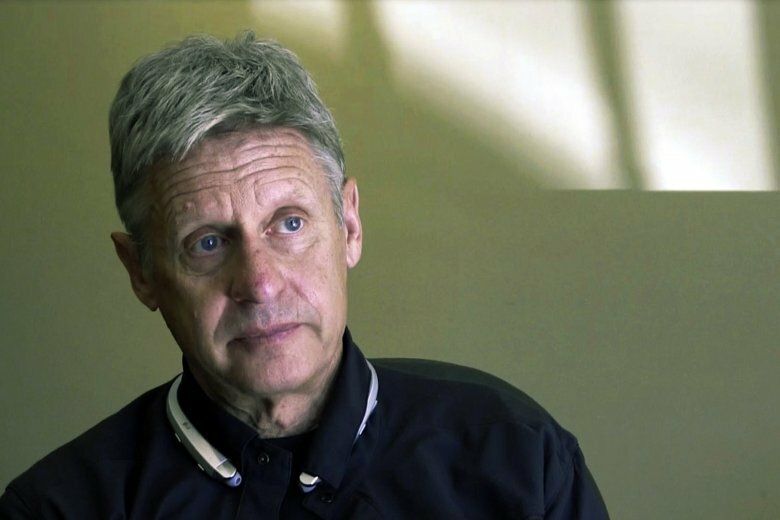 A Libertarian has never served in Congress and Johnson wants to prove that a third-party politician can make the Senate more productive. Political opponents say the stakes are high for the nation if Johnson were to succeed in tipping the Senate’s partisan balance. They also say a pledge by Johnson to trim the federal budget doesn’t necessarily help a deeply impoverished state that heavily depends on federal military and Medicaid spending. Johnson says current federal retirement and health care benefits are unsustainable, and that he can make a compelling case to maintain military assets and weapons research in New Mexico. Johnson wants a say in what comes next if the federal government decriminalizes marijuana, envisioning a system of pardons for prior convictions and changes to workplace drug testing. Johnson could steal the show in October televised debates, and unscripted campaign moments are a given. Johnson said he takes pride in his honesty and open thought process — even if after infamous campaign gaffes as he ran for president. And he was known for offbeat behavior as governor, twirling a plastic pig in the air once to signal he would never sign a budget bill. Johnson says he would be a fair and impartial judge in the event of an impeachment trial against Trump, and sees no impeachable offense so far. If elected, Johnson is promising to keep open office hours for whistleblowers and call out examples of government fraud, waste and abuse with theatrical flair. Johnson also says he won’t quit using marijuana, which he describes as the equivalent to an evening cocktail, though he mostly uses cannabis in private. To do so is legal in parts of the District of Columbia.